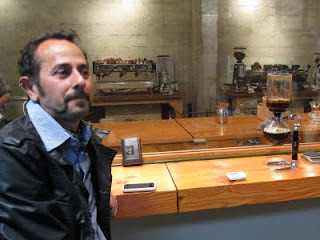 Doing a siphon of Ethiopia Mordecofe at 12th ave with Jo Jo. It was very nice meeting you Tom. You seem a very nice person and your love for coffee pours out of your eyes. I like that. 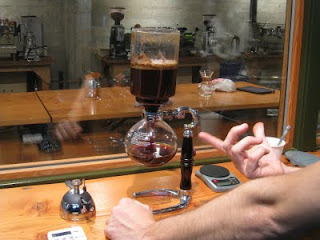 You know, I'm seriously thinking of getting a few of those Siphon for my shop.